Gloucester artificial lawns offers schools / Creche Artificial Lawn for playgrounds. These lawns are safe for children to play on and offer a great safe surface. We have come a long way in artificial Grasses and can offer a non-skid and a non-friction burn type lawn. Yes, that is right, it’s not slippery and it won’t leave rug burns. These safe playground surfaces are guaranteed non-slip, non-fade, friction-free. Fake grass is perfect solution for play yards as it allows the yard to remain clean and dirt free. There is no mowing, watering, filling in holes. This is a very safe and efficient method to have your playground covered in. And, there is no year after year fixing and replacement. Just install the fake grass and you’re done. Give us a Call! 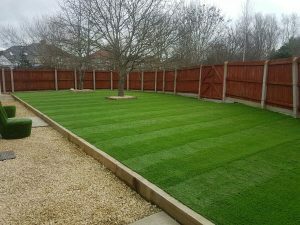 Gloucester artificial lawns have been working drab, grey, concrete playgrounds across the Cotswolds with gorilla grass for 5 years. We have helped plenty of schools and crèche’s now benefiting from our colorful play grass. Our grasses come in a variety of colors for designing as well. Put your school name or initials into the yard. The Artificial lawns are perfect addition to any playground area. Providing a safe place for children to run and play with the beauty of the outdoors. Our fake grasses have come a long way for the past. We have top of the line artificial grass options. And, are always looking at ways to create innovative decor for playgrounds and commercial buildings. We evern offer fake hedges and plants. Make your playground beautiful. Call Now! Maintenance free playgrounds are the best kind. And, no need to have a lawn to maintain when you have children to teach. Playgrounds can get torn up under heavy traffic. The dirt erodes and holes start and just continue to enlarge. Especially areas like under swing sets and play equipment. This is where Gloucester artificial lawns come in. We work the ground and substrate, often concrete, into a way that will make it last for years to come. 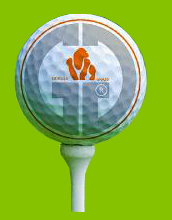 And,our law is fade resistance, burn free play grasses with a non-slip design. We can quickly transform entire areas or green areas into safe, attractive, Virtually MAINTENANCE-FREE play areas with our guaranteed non-slip, non-fade, friction/burn-free play grasses. We offer many outdoor solutions with artificial lawns and hedges. Looking for that perfect yard without all the mowing, weeding, fertilizing and watering? We have your solution. Just give us a call and we’ll take a look at what your playground, yard or outdoor space could use. We work with residential and commercial properties. If you have a school, hotel or restaurant you know how much maintenance a real lawn can be. And, it never looks as prefect as you would like. That’s where we come in. Set up one time and done. Leave it be. Should you feel the need to wash it, we do offer our Gorilla Lawn Solution that can be used to clean it up. However, there may be a need to brush or rake occasionally to improve the matted look.